When I first walked into the office I notice how clean and organized everything was. Then I met Mindy who introduced herself and she was very helpful. The experience of moving in it self was quite traumatic due to the large amount of furniture that needed to be compacted into the unit. We rented a unit then when the day came to move. We decided on a larger unit. Everything went smoothly. The One Dollar promotion for the first month, did help. However, you should note that it is probably best to rent at the beginning of the month to take full advance of the 30 days. We came in mid month. I am very satisfied with the security of the facility and accessibly. I would recommend this facility anytime. . This place is always clean when I go. Very friendly and courteous staff. Great experience!! First time storage renter and I am overly satisfied with service. The property manager April and customer service representative Grace were extremely helpful and quiet pleasant to speak to. 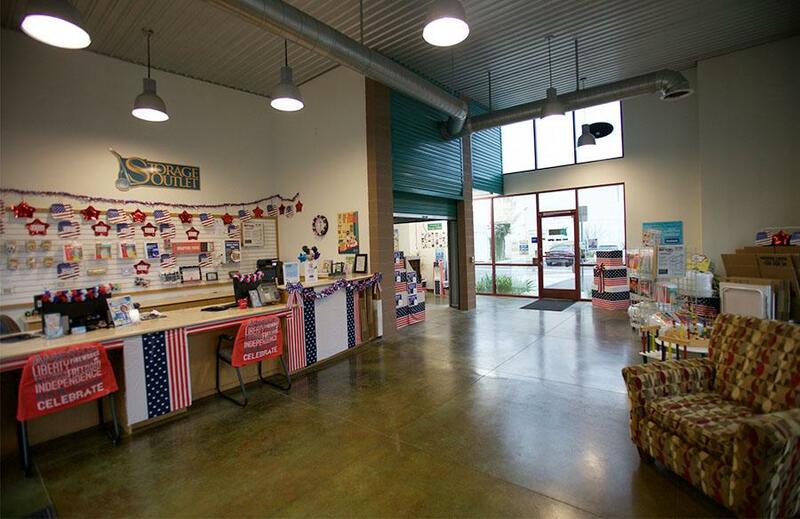 The facility was very well maintained, extremely clean and updated. The security system in which they use is quiet high tech and makes me feel as though my possessions will be very safe. I will definitely be recommending this facility to anyone and everyone who asks about renting storage units and will definitely be praising April and Grace as wonderful people to work with. All requirements, paperwork, and rental issues were addressed and explained in great detail. Hopefully this consumer review will draw more happy customers to this facility! Very clean facility and they are very professional! Accommodating hours, super safe, clean and conscientious staff. The staff is great. They are very accommodating. As I grew my business from a tiny start-up to a real company, they helped me by personally letting me know when larger units became available (I moved units 3 times in a few months). Eventually, I had so much inventory that I had to move out and get a warehouse. However, I will use Storage Outlet again when I have overflow inventory. Prices are good, place is very clean, and the access hours are better than most places that I have seen. Got the best service from the manager Albert! He was able to get me a good price on the storage space that met my needs. I picked this place because of its cleanliness and distance to my place of residence. Albert is the greatest! Thank you so much for helping me make the best choice to meet my needs instead of selling me something I didnt need. Very professional customer service and clean office. Thanks again! This location is clean and has great prices. The manager Albert is AWESOME and always professional and courteous. He seems to really know his business and is able to relay all the correct information. I highly recommend!!!! I've never used storage before and was pretty nervous about putting all my stuff in storage. The manager Albert at this store was super helpful he answered all of my questions and calmed my fears he even showed me around the property everything looked clean and under control. He was very patient with me and gave me time to decide without making me feel rushed even though it was almost closing time. I would recommend this store to anyone looking for storage and great service. I had my belonging here for 2 years and the place was always super clean and felt really safe. The manager, Albert was always very friendly and helpful. Would highly recommend going here for storage. We stored our belongings here and everytime we went in Albert and Terry were always nice and friendly even when they are out cleaning in the heat. They were very clear about what steps we needed to take to close our account. All in all was very happy with the service here. This is one of the cleanest, well maintained companies I have ever done business with. 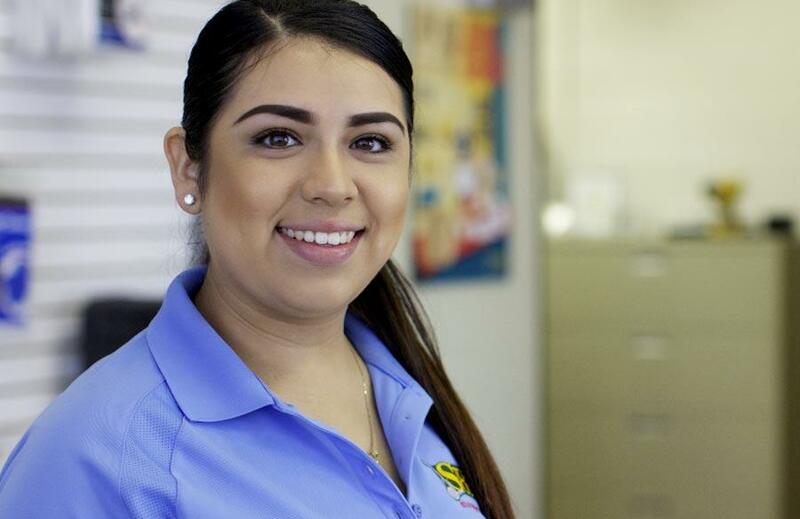 The staff are always friendly, informative and willing to go out of their way to get you what you need. Having never used a storage facility before, it's a little scary to know you are leaving your life in the hands of someone else. I am confident I made the right decision in putting all my belongings in their care. I highly recommend this facility to anyone needing this type of service. The staff here is amazing. My family looked around town for storage facilities, when we found this one we knew it was the one. The staff is helpful and very nice as well as the facility itself is spotless. I have now worries about my things in storage here. We have been customers for some time now. Beautiful and clean facility. We always feel safe there. Staff is very helpful. Love this place! Staff is friendly, professional and helpful. The grounds are clean and access is easy to my climate controlled unit. The location is very convenient to where I live. It is a very clean and secure unit and facility. Friendly and knowledgeable staff as well! Great location to store my family treasures. Easy rent paying system. Friendly knowledgeable staff. Facility is clean and storage space fits all my needs. Called on three separate days at different times during business hours, no pick up. Left a message, haven't heard back after 5 days. Finally went there in person a Tuesday at 1:05pm, sign on the door said "be back at 2:30pm". That was the final straw, I'm going down the road to A Storage Place, they answered in two rings first call. Either i have terrible luck or they need better service. Love this place! Staff is friendly, helpful and the place is so clean and convenient! 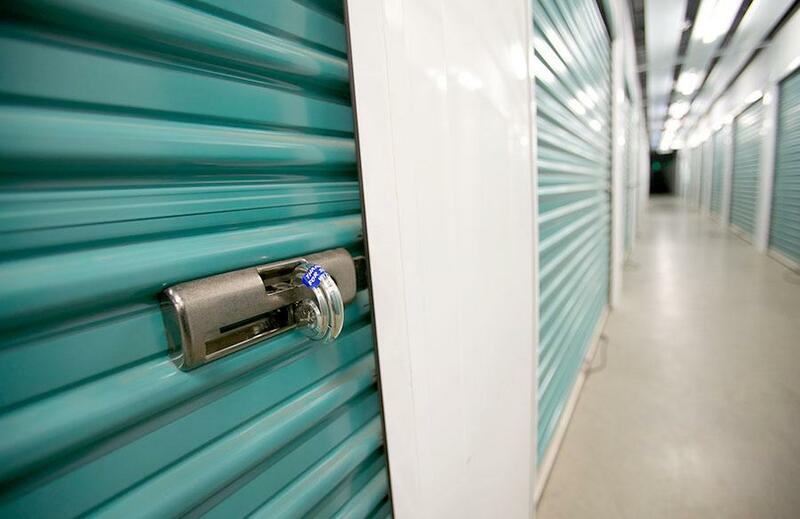 Good, secure and well-maintained storage units. Helpful and friendly (Albert) employees. Chino is located in San Bernardino County, within driving distance to the beach and the mountains. Many Southern California residents choose to live in San Bernardino or Riverside and commute to work in Los Angeles or Orange County (LA or OC as the locals call them) in order to have a larger home for a fraction of the cost. The same could be said of Chino self storage. Chino has numerous affordable self storage facilities. 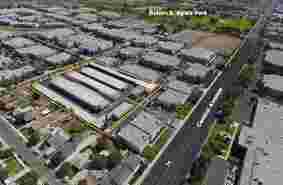 You may think of self storage as superfluous if Chino residents have bigger homes, a yard, and a decent size garage. Human nature proves this theory wrong however; as Americans we love to buy new things and hate to part with our older treasures. Why not if you can get a great storage deal and store all your treasures! Another reason Chino self storage is thriving despite reasonably sized homes, is its proximity to the beach and ocean. Many residents have skis or snowboards, snow clothes, and maybe even a sled to store during the warmer SoCal months. During the winter (if you can call it that in SoCal) Chino residents may have water skis, surfboards, jet skis, or even boats to store. 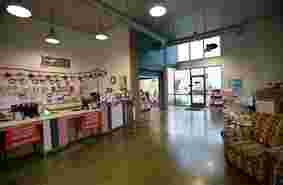 Chino self storage is great for all the city’s residents that love their toys. Chino self storage was also featured on Storage Wars, the popular television show about storage auctions in Southern California. “Buy, Buy Birdie” (season three, episode 15) was featured at our very own Storage Outlet Self Storage Chino. Viewers of the self storage show often wonder whether the cast members really bought storage units before the show began. Absolutely! Dan and Laura Dotson were long time auctioneers for Storage Outlet, and we were actually one of the only storage companies to allow them to film the reality show on our properties. In addition to filming at our Chino self storage facility, Storage Wars was also filmed at our Fullerton, Bellflower, South El Monte, and Gardena locations. If you want to try your hand at storage auctions from the comfort of your couch, check out online storage unit auctions at www.StorageTreasures.com. Chino is not a military town, but there is some military presence in Chino. There is an Army National Guard military base in Ontario as well as a Naval Surface Warfare Center in Corona. Both bases are within a reasonable drive of Chino, and therefore military members could easily use self storage in Chino if they find their best self storage deals in Chino. However, if servicemen or women are new to Southern California, they should consider SoCal rush hour traffic and longer commute times when selecting their storage facility. Although a ten mile drive might take you ten minutes if your hometown, it could easily take you thirty minutes or longer in SoCal. Welcome to the Golden State! Thoughtfully consider your decision to use self storage in Chino. How often, or when, will you use the items you store? If you’re heading out on a deployment, will you even want these personal items when you return? Also consider how long you want to rent a unit for and what size unit you need. Check out our unit size video guides [LINK TO SIZE GUIDE VIDOES] to help you visualize how your items will fit in a storage unit. These videos will help you determine whether you only need a 5x5 or maybe a 5x10, or whether a 10x10 suits you better. If you’re planning to store long-term, then you may want to go for a larger storage unit in order to have some spare room for future storage needs. This is preferable to having two separate storage units, especially since you’re unlikely to get two storage units next to each other if you’re renting them at different times. A final Chino self storage consideration is whether you want an interior or exterior unit, and whether you prefer to be on the ground-level or an upper floor. Most self storage customers prefer exterior drive-up units because it’s convenient to load or unload your storage unit since you can pull your vehicle right up to your unit. Given their popularity, you’ll pay a premium for drive-up exterior units, but the truth is that interior units stay much cleaner since they aren’t exposed to dirt outside the building. 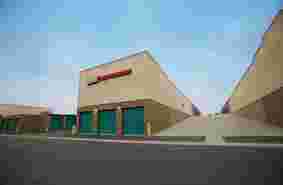 The best Chino self storage deal is likely an interior upper-level storage unit. On top of that, most Chino storage facilities will offer you a military discount! It’s the least we can do to thank you for your service! Chino is home to Chaffey College, a two-year community college with over 18,000 students. Many community college students live at home however, which often means they don’t need student self storage. However, there are many universities in neighboring cities. Western University of Health Sciences and California State Polytechnic University are both located just north of Chino in Pomona. Neighboring Claremont is home to the Claremont Colleges (the “5Cs”): the women’s college Scripps College, Claremont McKenna College, Pomona College, Pitzer College and Harvey Mudd College. That’s a lot of universities and a lot of students! Normally, such high demand for student self storage could drive up prices, but lucky for university students in the Chino area, there is plenty of supply to meet the demand and therefore you’re sure to find affordable Chino self storage during your college years. One thing to consider however, is the high concentration of college campuses in Claremont. 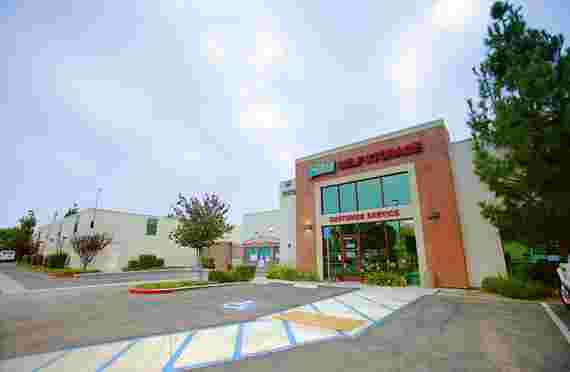 It’s likely you’ll find the cheapest self storage in Chino or Ontario rather than Claremont or Pomona since they are closest to the college campuses. We know that as a student every dollar counts (unless you’re a millennial and your parents are footing your self storage bill), so it may be worth a short drive to find the most affordable storage unit near your campus. Just be sure to also consider the facility’s cleanliness, reputation, and security measures.